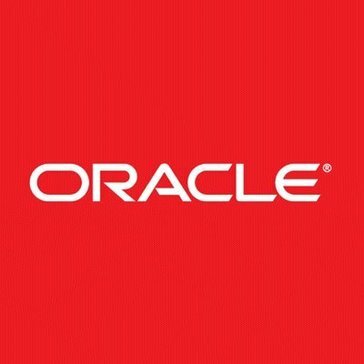 Work for Oracle EBS Financials? "Highly configurable financial management software"
"Highly intergrated accounting software for payments"
"Great but depends on integration"
There are many fields and ways to look up information. The interface is straight-forward and easy to use. At our company, all items are mapped based on product hierarchy and chart of accounts so as long as the initial mapping tables are correct, the information can be easily understood within the Oracle interface. I will caveat that the negative experience I have had as a user is due to the way my company has integrated Oracle with other systems and reporting mechanisms. We use Noetix to pull data and it is all dependent on VTABLES. Oracle has so much data so I wish there was a report builder or custom query application. If one exists then we do not have it. I am dependent on our IT team to build and connect vtables. For example, up until recently, I could not pull AP data and AR data in the same report. I would have to pull the information separately and then manually combine the data sets. Oracle is great but, from my personal experience, end-user satisfaction is severely dependent on how Oracle fits into a company's portfolio of applications and tools. If you do not have a good way to pull the data back out of Oracle, then there is no point. As of now, pulling the data continues to be a challenge for us. I suppose the silver lining is that at least the data is there! Cannot stress enough the importance of having a means of pulling reporting out of Oracle. How robust a system is means nothing if you cannot get the data back out and in a form you can use / easily manipulate. Data clarity and integrity. There was an exercise to clean up data and improve data input going forward. There are more categories and definitions for order entry and expense management. It is still early stages at this company but we continue to improve every day. What's most important is getting people the proper training so that they know how to properly code their inputs. "Finance Shared Services efficiency improvements"
Finance Shared Services efficiency improvements could be achieved thanks to Oracle EBS Financials. As Finance Controller for Orange Business Services I have been able to achieve stronger processes and robust Financial controls within the system all thanks to Oracle EBS Financials. All the Finance and Accounting users can share the same set of referential, book the transactions in same database, run real time reports on their own provided they have the right level of training. Oracle EBS has allowed the Finance and Accounting teams to be a close knit team who can really be called a shared service centre because we have been able to centralize the services to a large extent! Oracle has been a leader in financials for many years and the community of users are great to collaborate with on solutions. Every business believes they are unique when it comes to processes and there is some truth to that, but it's all AP, AR, GL, COGS, etc. Oracle allows for configurations that support the uniqueness of each company as well. As with all software, keeping up with patches and upgrades has to be balanced with supporting your business. If you are a smaller vanilla company just now growing into enterprise ERP needs, then consider the cloud, but if you are mature, complex and need all the features, then EBS is a great tool. We have tripled our revenue over the last 15 years and Oracle has grown with us, but our Accounting, Purchasing and Oracle IT headcount has stayed the same and in some cases gotten smaller due to the level of automation we can put into our processes. "Oracle Is Helpful For Finance Firms! " Oracle is able to be highly customized to do whatever is required. For example, in our case we were able to receive detailed information from our investment custodian and summarize it in the manner we desired for inclusion in the G/L. Oracle iPayment does't support level 2-3 information for non P-Card credit card transactions. In addition, the system should allow application of a single check payment to various operating units. Payments can be processed at the same time for multiple operating units easily. Payment templates makes it convenient and easy to process the payments without much hassle. In addition, the payroll feature is extremely easy to control and manage. The interface itself has a wide variety of options that make life easier for employees such as myself. "Oracle EBS could be easier to use"
This Oracle ebusiness suite was the financial application we used with Salesforce. It was very helpful with sales orders, quotes and billing. It helps standardize all accounting policies and rules, which you need in this business, consistency. It helps keep the process and work flow moving with less questions. I think the reasons I have dislikes is Oracle was the financial software to work hand and hand with Salesforce, and there were many times data just didn't sync correctly. Both databases needed to match due to proposals and orders and it caused undo and time consuming days to fix. Each application on it's own is great but when you have two departments not understanding the others, it gets fustrating. We are almost done with our change over from Excel, especially for financial reporting, and it is a slow process. Having a centralized database helps reporting data so much more efficient. Say goodbye to old invoices. What I like most about Oracle E-Business Suite is that it is fairly simple and straight forward to use. If you have prior experience with any sort of enterprise resource planning system, you will have no problem learning the logic and flow to Oracle E-Business Suite. I understand that Oracle E-Business Suite is customized to each individual organization's specifications, however, this is not a significant barrier to using Oracle E-Business Suite. I believe there are flaws and dislikes to all systems, however there are not many major dislikes for Oracle E-Business Suite. One of the things I dislike about Oracle E-Business Suite is the reporting workbench. When you enter the workbench, it is similar to entering an html website, it has a very dated interface, unlike the rest of the system. Another dislike I have is the add-ins to Microsoft Excel. Oracle E-Business Suite seems to always use a very old version of Excel (currently the add-in is only compatible with Excel 2013, current Office suite is 2018) which creates a lot of compatibility issues with other Microsoft Office files. I will not lie, Oracle E-Business Suite is expensive to implement and maintain, however for growing companies wanting to get to the next level of financial analysis, it is a great system to get you there quickly. "Experience with Oracle EBS Financials"
I like how user friendly it is and how simple the layout is. I like how there are several different ways of displaying data and all of the options on formatting it as well. I don't have any dislike for it except that it might feel too minimalist. I think it is a very good system to use when keeping track of cash flow. This includes accounts receivables, payables, invoicing, labor reporting, and cash adjustments. I think it's an easy way to show the credits and debits and keeping other customers paying you on time. It is also good to document information and keep notes of any accounts that need it. Overall it is a great system to use and it is user friendly. Company is able to customize my responsibilities and requests that I need to run. Easy to use and manage for close purposes. Are able to allow multiple people to use it for their needs, without compromising segregation of duty issues. Quick load time and support has been great (internal/external company) if any issues come up. Sometimes there are random lag times that aren't able to be traced. In order to "fix" some of these freezes, what I need to do is shut down and log back in. After that, there are no issues. I'm not sure if this is a system issue or company issue, but I have to run a specific version of Java that is not always compatible with other systems that I need. Utilize support and they will help with any issues. Month and year end financials and reporting. It is a great consolidation tool and easy to use. If there are issues, I've had great support in correcting the issue. "Oracle EBS Financials, a great tool !" The tool is valuable, and the fundamental functionalities are not difficult to utilize. Structures are anything but difficult to construct, and a similar structure around measurements is recreated over the site page/Excel/Reporting studio, which makes it very simple to expand, the exceed expectations include, is extremely useful to enter bigger measures of information, or to pull through greater reports. There is extremely restricted custom-ability. I worked widely with Financial Reporting Studio, which was extraordinarily prohibitive, which implied I couldn't address a considerable measure of my customers' issues. For instance, I couldn't change the shade of the fringes in the reports! Support gave from Oracle is very poor. The execution was to enable a major speculation to bank set up a retail branch as per ring-fencing directions. From a detailing point of view we moved the bank's reports from Excel - which required moderate manual recovers - to Hyperion Planning, so changes in the information were very quickly reflected in the reports. This streamlined the whole announcing process significantly. "Could use some improvements in user experience and speed/reliability"
The functionality that I like most about this software is ability to interface with Excel and to do general ledger drills. I can also run the financials in different presentation formats. I often have my system crash when I have Oracle to run P&L financials. I'm not sure if it is because of the excel version that I am using or the software malfunctioning. This has happened to me several times during monthly close process. Also, it is not very user friendly. It offers me the flexibility to run real time ondemand financials when it is requested by the business. This has been a longstanding software for the company in which I am employed. "Oracle for accounting, finance and budgeting for our business." I like the ease of use of this software for our business. I loved the easy trouble shooting and the easy problem solving with this software. I love the dashboard and the budgeting tools of this software, it has greatly helped our business in these areas. I did not dislike anything about the Oracle Software. My company loved everything it has enabled us to do, and It is also very easy to train new employees on. I did have problems at first when trying to figure out the use of the software, but I soon realized my mistake. This is a great product for any business wanting to solve some financial issues you may be having with other software. I love this product for our business. WE are solving many accounting and finance issues we had in the past. The benefits we are realizing are endless, and can only get better. "Oracle Financial Reporting Pros and Cons"
I like the amount of different reports you can setup in looking at the P&L, Balance Sheets, Store Performance, Actual vs. Budget/Foreast and Wages to Sales reporting. It is extremely important to understand and see what part of the business is doing well and where additional resources are needed to improve on lagging store performances. I do not enjoy working in Oracle Hyperion Financial Reporting Studio because it's not user friendly. It is hard to navigate in creating new financials or just to even make changes. It is very slow in scrolling up and down in this specific software. Also, the screen view display is too small. We create all of our financials in Oracle, so all of our senior executives depend on these to make decisive business decisions. Almost all of the functionality you could need is included in this module - it covers all the bases from an accounting perspective. The capabilities are endless and it is very secure. The interface is a bit bland and confusing - it takes awhile to adjust to the small print and hard-to-find commands. It could definitely use some modernization and aesthetic improvements. Also, exports can be tricky/messy at times. I also wish that the WebADI upload from Excel was less picky about some things - there are multiple errors that occur based on things like a cell not being the right format or something not being capitalized and the error codes that are given are unspecific and send you on a hour-long goose chase trying to figure out why your journal entry is not uploading properly. Find an easy way to train new employees in this software because it is not intuitive like many other enterprise software platforms. Journal entry uploads from excel, secure financial data storage, and high powered search and report capabilities. "Easy to use , web based system"
User friendly online platform makes recording transactions and running reports easy for everyday users. Troubleshooting is difficult if you’re not familiar with at least 75% of the program. When error messages come up, you either have to have a software SME within the department, someone from IT, or submit a help log with oracle. Special programming for certain reports. Once it’s set up, it’s good, but if you have trouble with that particular report, if you didn’t design it, it will be hard to troubleshoot. The benefit is being able to learn the system quickly if you do incur an issue. I have used Oracle E-Business Suite mainly for Supply Chain Management for the organization. With the various modules available like Purchasing, Accounts Payable, Account Receivables, General ledger, Fixed Assets, Project Accounting and many more, it is so nicely integrated and linked within modules, along with different currency type, data conversion and many more features. Sometimes the data gets stuck within the module and the ERP needs patch to overcome the issue. The product is expensive. Customization need time for configuration. It is surely recommended for its ease of use, functionality, cost-effectiveness and a best solution as an ERP Business Suite available in the market. It is easy for end user. Navigation is easy. It is easy to understand the workflow. Eliminate the use of other products. Easy to focus in any area or modules. "Oracle Ebs Financials - A comprehensive financial accounting package for all businesses"
Subledger accounting is well detailed and intuitive to use for the consummate chartered accountant. Oracle EBusiness Reports are not in the best readable format: take for example the AR Aging Report will show hundreds of lines for customer invoices but it is not provided in an excel friendly format, hence impossible to pivot the data in excel. Use EBS if you are using it for purely financial accounting purposes, it is brilliant that way, even better if you use EBS HR in combination to complete the information flow from managment to business and employees. Oracle Ebusiness Suite's AP and AR Aging reports work on a completely different logic than Oracle Business Intelligence Applications AP and AR aging reports, we are attempting to update the logic in the Oracle BI mappings to ensure we compare apples to apples. Main benefit I have realised from using Ebusiness is its excellent trial balance reporting capability and the fact that its inquiry forms usually are easy to use. "Oracle EBS Financials is a 9/10"
The best part of Oracle EBS Financials is that it is completely reliable when dealing with money throughout our large corporation. From paychecks to balancing to vendors, all financials get taken care of in an accurate and efficient manner. Although I have only been working with this platform for less than a year, I can say that so far I'd grade Oracle with a 9/10. I have not yet experienced anything that makes me dislike this system, however, the one con that any platform would probably have is that we have so much data to process that it becomes a very time-consuming endeavor to go through all of our financials, make a proper analysis, and connect to the individual users within the scope of our company. I would gladly recommend this to companies, especially when they use big-data or have a lot of employees. It gets difficult trying to use a simplistic system, and this one is a perfect combination of easy-to-use and analytic. The most prevalent issue is that my corporation is extremely large-scale; so the financials are a difficult thing to keep track of with a system that can handle that much data. I like the accuracy of the system, and its ability to collect data from a range of systems even if they may be outdated. The "code" to pull data is not the most user friendly. You have to have some kind of underlying knowledge in order to write a code to request data from oracle. Take the time to learn the coding required to pull data back. As soon as you understand it, this tool is quite useful and can streamline certain processes quite well. The primary use of Oracle within my team is to get balances across certain companies to complete merger transactions. It is quite useful in creating a complete list of all accounts that have balances rather than us having to research and compile a list and then pull balances back. "Worldwide coverage and ease of use." It is user friendly and is customized to meet demand of small scale medium scale and large scale businesses, allows tracking of transactions ,sub-ledger and employees expenses. Allows robust reporting with OBIEE integration and p card and project costing. Data takes long time to load hence time consuming, it can only be used in stable network connections hence unreliable in usage. The software is great and budget friendly try it and expand your business. Has made accounting work easier and more affordable as small scale business enterprises can afford to purchase the software and through this large profit are realized. I like the ease of use and the storage of data that affects the bottom line in all areas. I also like the fact that a whole inventory analysis can be done when using this platform. Overall a great product. I would recommend spending time on training users and administrators on how to use the platform, and also allowing for ongoing implementations, since this product is not a one time, one size fits all software database. EBS offers Financial Statement generator integrated with Templates making it more flexible to provide vast reports with more than 200 columns. This gives more flexible to reconcile rather than use multi excel sheets. What I like best about Oracle is how easy it is to navigate and take action on things to get them done quickly and efficiently. Oracle allows you to view multiple things at once without having to switch back and forth constantly. The only thing I do not like about Oracle is sometimes it times out fast if you're not using it at the moment- having to log in and out sometimes takes up time and can delay getting work done quickly. It does the work of a typical enterprise-level accounting system, in providing integrated reporting and dynamic updating of financial information. As my work uses a custom version of Oracle Financials, it has enabled our organization to increase our flexibility in obtaining and mining financial data. This custom version has enabled for easy report creation, and reliable controls to meet internal audit standards. Some custom versions of Oracle Financials do not have any of the newer features which other ERP software on the market have. As well, it becomes limited due to the level of customization thrown into the system (either by our organization or simply through reaching limitations in the software), due to our organization's rapidly increasing growth and changing requirements as to how particular accounting transactions should be done. Another issue is that this product does not communicate well with other software used by the organization in the management of financial data. This has led to additional consulting work done to create patchwork solutions to temporarily address reporting gaps and limitations found. It will depend on the size and nature of your business. Depending on the business you operate, it may require additional customization to get particular reporting functions or integration with other reporting systems used by your organization. Oracle is still a trusted name on the market, and is still used by many top companies. Having the ability to customize and generate reports through various software suites within Oracle Financials has helped in meeting the reporting requirements asked in our financial reporting processes. Despite the limitations mentioned, this software has continued to meet performance expectations for our reporting needs. The ability to export to various formats for data analysis, as well as the program being web-based helps in reducing additional software support required. I like the ability to link journal entries to invoices and be able to quickly look up the associated pdfs or emails . It might be wise to find something that is easier to use if you are a medium or small sized business. The learning curve can be steep and a lot of the design in Oracle in very non intuitive. New users may have a difficult time adjusting. It helps to store and analyze data in large quantities quickly. It makes collaboration between finance, accounting, and purchasing much easier. "Oracle Keeps it all together"
Oracle is our system of record so all of what we do is processed through it. Oracle isn't the easiest to use for those without backgrounds in accounting, but once you learn it, it is consistent and incredible helpful to keeping the company organized. The interface isn't very modern or clean. It looks a little outdated, but the functionality is effective. This has been a realiable system across our organization to maintain and keep adequate records of financials. My favorite thing about Oracle is the integration with other systems. This makes producing reports and gathering/distributing data so much easier across the organization as a whole. ease of moving through different parts of the system. Conversion of this product from a prior release was brutal. It took us over a year to prepare and we are still fixing things in using R12 1.5 years after we went live. "Great for Core Financial Management"
I like that everything is together and it is all integrated - payables, projects, ledgers, etc. The software is quite stable and doesn't need a lot of babysitting by the users. Customizing the software is not easy. Tech support isn't great. And it seems like there is a never-ending stream of updates/bug fixes to apply, which to me as a user means a lot of scheduled down time. If you have a lot of Oracle expertise in house already, this is a great way to manage financials. We use this a lot for financial management of our projects and to be honest it works really well for that. Like I said, everything is in one place, so you can do all of the reporting and whatever else you need right there. "good tools to manage our finances." great tool to do requisition, PO, check status, and have a great workflow. is multi country and the customizations is great. is possible to change the requisition during the creation. is very important to do a Pilot implementation. control and check our requisition, PO, etc. I like the ability to pull data back at a higher level to encompass more information in one data set. I also like the way the data formats in Oracle. Unless you are well versed in Oracles coding language- it may be difficult to perform some data retrieves in Oracle. Doing more complex things within the system may require some research. We use it to compile ledger data for large sets of accounts. "Easy to use, but flawed software"
Oracle has an easy to understand interface. It presents data in a simple and straightforward format. Firstly, it runs through Java and uses a lot of resources. Secondly, the software will crash at random moments, and/or certain functionalities (especially with write click) stop working at random times. If you are in collections I would recommend not using Oracle. Oracle presents several different types of information in one place. Oracle, because it is a database, can be adapted for use in several different industries for different purposes. Easy to navigate between AP, Procurement, GL. Accounting has never been this easy, as software is customized to meet small scale,medium and large scale business enterprises. Allows robust reporting with OBIEE intergration. Allows user to track all trasanctions,employee expenses and project costing. Fast trasactions processing. Customer support didn't meet my expectation, as they are too slow to respond to questioned issues. Message to new user, it is a great product try it too helpful. Has made accounting,inventory and project costing easy and fun. It is cloud based so the cost is very friendly since it is accessible online. It has accounting features that function optimally and are easy to use. It is time consuming since it displays the rows and columns in bits of ten. However it is generally good. It is good for both accounting newbies and experts. It has accounting features that helped us reduce accounting errors and it is generally economical. "Oracle makes life easier "
I like that it's very easy to use. I had little training on it, and was able to explore the software and learn more by just looking around. I don't like that the training manuals I found were difficult to find, let alone understand. Have the training guides easier to understand. I used them for the accounts payable and supply tracking of the company I worked for. All necessary modules are there, mostly reliable. The UI is horrible, no matter what version you run on, huge learning curve/not user friendly.. The output of reporting can display oddly and it also runs fairly slow but uses up a,lot of CPU, high sensitivity to network change. Expensive. Look a lot harder at your other options before deciding to jump ship. It's a costly implementation in more than one way.. I work in a global company that we need to work together so being able to collaborate with them through Oracle EBS Financials is awesome! The downside to being a global company and multiple users is that fact that data entry can be slow in Oracle EBS Financials. The business Problem that Oracle EBS Financials solves is being able to collaborate globally with multiple different locations at different times of the day. ebs administration is much easier to manage in an multi node installation with 12.2 release. cloning is the best part i like about is to replicate to the other environments. patching is the one i am having issues and the errors encountereed during patching. sometimes we do have to restore from the backup to get back to previous working environment. Learning about Oracle EBS Financials? * We monitor all Oracle EBS Financials reviews to prevent fraudulent reviews and keep review quality high. We do not post reviews by company employees or direct competitors. Validated reviews require the user to submit a screenshot of the product containing their user ID, in order to verify a user is an actual user of the product.